We consider metaphysics to be a science, the most basic reason being that thought affects matter, as many scientists have proven with laboratory observations. Many people have also observed this phenomena in their own lives who suddenly recover from illness and disease simply by adjusting attitudes or thought forms about the self, others, or the world in general. One of the many things you will learn on our courses and workshops is what many have called alchemy, something that was long ago taught in spiritual mystery schools only to those who had proven themselves worthy through long term observation by a master teacher. Only once the student had proven unwavering dedication to exploring the mysteries of consciousness, and attained a certain level of skill, would he (usually a mystery school education was only available to males) be invited into the inner circle of teachings. In the present era, this is no longer the case. These teachings are now available to everyone. Long attendance to Mystery Schools is no longer required to learn the workings of the universe, for all knowledge about metaphysics, with related material about the nature of consciousness and its potentials, is presently available in every metaphysical bookstore and in most public libraries. Anyone who reads self-help books, learns meditation techniques, attempts to dream lucidly or have astral projections, is already exploring what mystery schools once offered. Anyone who sets forth the intention to know, and takes the action necessary to attract this knowledge into one's life, is a receiver of the mysteries of the universe. We are spiritual beings have a human experience and we are here on the earth plane to experience all aspects of life for the evolution of the soul. Our purpose is to have mastery over, transcend, and understand the physical world and how to affect it, even while living in it as a human being. This is a science, not a phenomenon. Natural laws of the universe exist, whether we are aware of them or not, and they are in operation all the time. Therefore, consciously learning how to use the law of cause and effect makes this practice not so magic anymore and it becomes quite available to anyone who takes the time to learn how to use this natural law of the universe by adjusting one’s consciousness and therefore affecting reality. When we learn how to work with universal laws of consciousness and the laws of nature, using the mind and emotions to effect change in the physical world, we can aspire to a purposeful and fulfilling life in alignment with our authentic self. Mind power of the subconscious mind, with focused mind power attention, can be harnessed for healing. Harnessing the powers of the unconscious mind is the secret to healing. 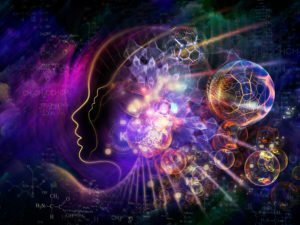 Interested in learning more about metaphysical subjects, including latest findings in 'new science', epi-genetics, mind-body connection, the Emotional Guidance System, along with crystal healing and how to apply them to yourself, family, friends, others and animals? Why not enrol on our accredited 3 day Crystal Healing and Metaphysics Certification course?